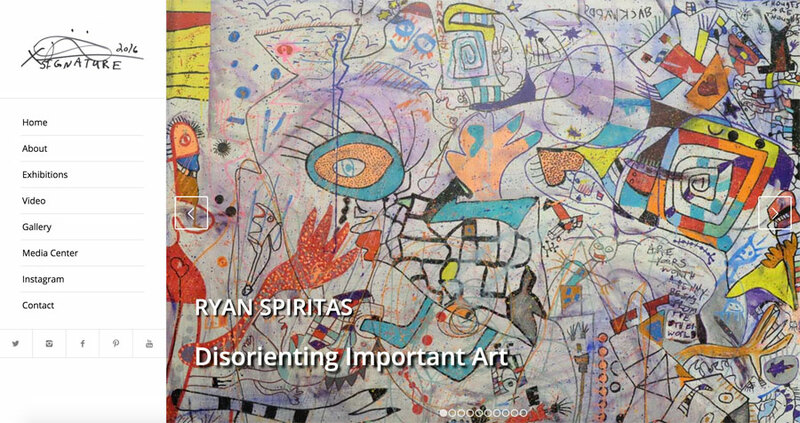 Client Profile: Spiritas is a modern contemporary expressionist whose artistic style emotes a refreshing, yet twisted, portrayal of the 21st-century avant-garde through an exploitation of color. Many of his works are like views through a cacophonous lens of dysfunction that exists in his subconscious mind. As such, his pieces reflect the accumulated memories and experiences that have lingered in his head for many years with no way to escape. Spiritas, who describes himself as “strangely productive” strives to promote an irrational juxtaposition of imaginatively drawn images that direct the viewer into the world of daydreaming, yet contrast with random dark deliberations that still give a lighthearted feel to his creations.